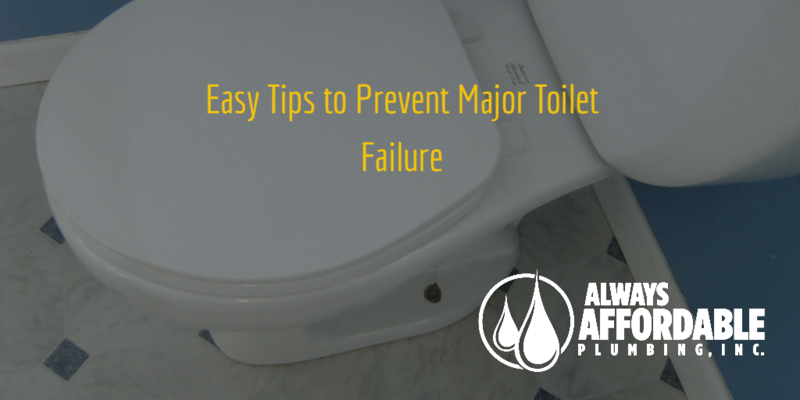 Did you know that toilet failure is the “second leading cause of residential water loss“? Not only is a leaky toilet going to raise your water bill, it could lead to major water damage! Toilet failure can be a simple, inexpensive, and quick repair. However, sometimes toilet failure can end up being really expensive and a major mess. Follow our Affordable Home Plumbing tips to help prevent major toilet leaks and repairs. This can lead to OVER $5,000 in repairs and damage after the deductible. Yikes! The good news is that the major leaks and damage can be easily prevented. Always Affordable Plumbing is happy to provide you with a complete inspection of your home plumbing. This service allows you to identify, and repair, any potential issues we find. This is the water line that runs from the wall, up into the bottom of the toilet tank. A crimped supply line is generally a sign of impending failure. Additionally, on occasion, the plastic nuts that attach the supply line to the tank and/or the wall can fail. If your supply line is very old and showing signs of crimping or seepage, then it is time to replace it. Replacing it early can prevent a major leak. New, quality supply lines typically run less than $10. The toilet flange connects the waste pipe to the bottom of the toilet. Along with a wax ring, this is how the water you flush gets out to the sewer, without leaking every where. A worn flange or wax ring can lead to serious water damage. Replacing the flange and wax ring can be moderately challenging for an inexperienced “Do-it-Yourselfer”, but it will cost you less than $50 in parts. It is important to get the correct sizes. It is also important that installation is done with the correct balance and pressure. Always Affordable Plumbing technicians are well versed in the subtle art of flange replacement :). 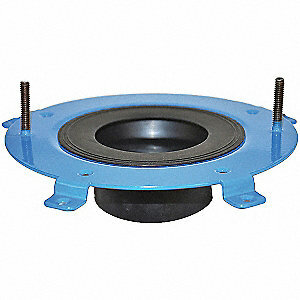 A common sign that your flange is needing to be replaced is a toilet that wobbles or rocks when you sit on it. This is the assembly inside the toilet tank. These can wear out and cause your toilet to “run” constantly. While this kind of failure won’t typically result in major water damage, it can increase your water bill. Click the link for a GREAT article on how to fix it HERE. A few simple toilet maintenance repairs can prevent major water damage. Call Always Affordable Plumbing today for a FREE home plumbing inspection. Don’t forget, in addition to toilet repair, Always Affordable Plumbing is the best emergency plumber Sacramento has to offer!! So, in a worst case scenario, don’t hesitate to CALL ALWAYS AFFORDABLE PLUMBING, 24 hours per day, when your plumbing emergency can’t wait! !